Klin, Moscow State, Russia - 31 August 2018. The State Memorial Musical Museum of P.I. Tchaikovsky in Klin. 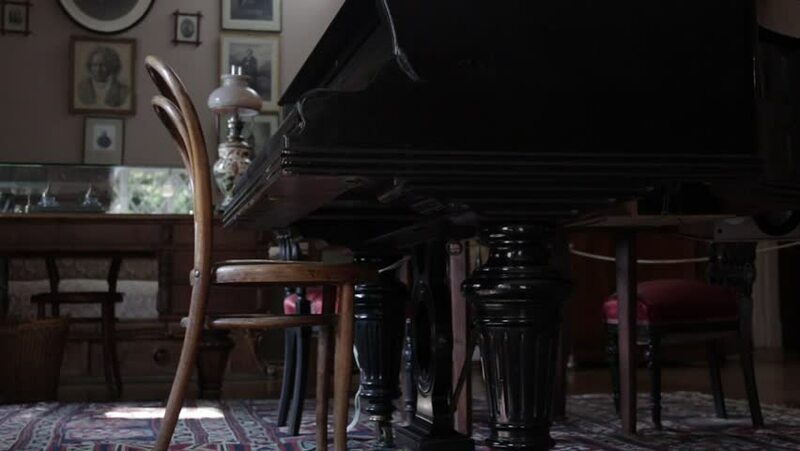 Salon of Tchaikovsky house, with close up of his grand piano and desk. 4k00:11SIEM REAP, CAMBODIA - FEB 11: The famous Pub Street nightlife area on February 11, 2016, in Siem Reap, Cambodia. Siem Reap is a popular resort town, often called the gateway to Angkor Vat. hd00:13A modern glass hookah stands on a table in a modern hookah bar, in the background flashing lights and a bar counter. Traditional Asian relaxation. A hookah standing on a table in a hookah lounge bar.